SANTA BARBARA — A few weeks remain in peak boating season, meaning local harbors and marinas are still bustling with all sorts of vessels on its waters. 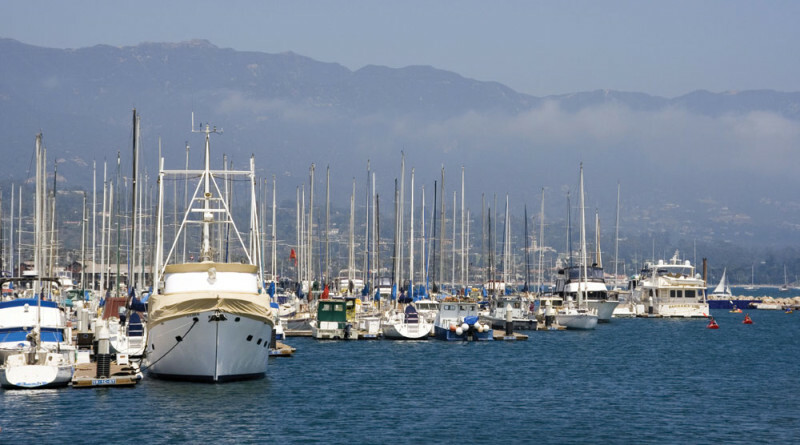 Santa Barbara Harbor, like its neighbors to the south, regularly balances a combination of recreational boats small and large, kayaks and standup paddleboards (SUP) during the summer months. Harbor Operations Director Mick Kronman called the Santa Barbara waterfront a “crowded house” due to the influx of personal watercrafts joining boaters in the main channel and nearby coast. The waterfront department has reportedly received complaints from every corner. “We have received complaints from boaters … and the paddlers, everybody pointing fingers at each other,” Kronman said. Kronman added no accidents were reported to date involving kayakers or SUP users and boaters. The harbor operations director hopes to develop educational efforts to help boaters, kayakers and SUP users co-exist near boat slips and in the main channel. He specifically looked to educational practices in harbors at Dana Point and Santa Cruz to guide how Santa Barbara could manage potential hazards and ensure boaters, kayakers and SUP users do not conflict with each other while navigating the harbor. “We need to undertake an education campaign for the paddlers, because there are far more of them than there are of the motor boats and sail boats,” Kronman said. Much of Santa Barbara’s proposed educational campaign was crafted from what is already in effect in Dana Point Harbor, where kayakers and SUP users are given a prescribed path to navigate. Santa Barbara’s Waterfront Department, for example, designed signage to inform kayakers and SUP users where they can travel within the harbor. The sign is based on the red light/green light model. A color coded map is conspicuously visible on the sign, with green areas showing where paddlers can navigate; portions of the map in red show where paddlers should avoid navigating. Above the harbor map is “Paddlers” in green letters and “Avoid Main Channel” in red; a drawing of a kayaker and SUP user flank the warning. “The whole message is, ‘please, stay out of the fairway,’” Kronman said, adding the warning signs could be placed at up to seven locations within the harbor. Another cue from Dana Point Harbor: giving kayakers and paddlers a color coded lanyard to indicate completion of an educational program with a local company. Attached to the lanyards would be a copy of the red-and-green map and safety talking points. The waterfront department also linked a harbor safety video to its website to educate boaters, kayakers and SUP users of how to be safe when navigating through and around the channel. Kayaks, SUPs and other human powered vessels have been a hot topic at other harbors in between Santa Barbara and San Diego counties. City leaders in Newport Beach, for example, have continuously balanced boating interests with newer harbor uses in recent years. Jetpacks (or water propelled vessels), kayaks and SUPs are currently permitted in Newport Harbor. The City Council spent nearly two years debating whether jetpacks should be allowed in the harbor and whether the activity would compound an already busy waterfront. Interestingly enough, human powered crafts are prohibited at Oceanside Harbor – although enforcement of the municipal code has been lax, at best, according to the city’s Harbor and Beaches Advisory Committee (HBAC). “No person shall use any paddleboard, pedalo, surf sailer, waterskis, aquaplane, boogie board, wind surfer, surfboard or similar type of watercraft in the harbor, including the entrance or main channel of the harbor,” the Oceanside Municipal Code reads. “The rule has been there for years and we’ve turned our heads,” HBAC member Les George said. George did not support changing city law because of lack of enforcement and an increased popularity of recreational kayaking and paddleboard use. “These people do not have any concern,” George said of recreational kayakers and SUP users, claiming a surge of human power crafts in Oceanside Harbor is making it increasingly difficult for boaters to navigate in and out of the marina. He does not believe rental companies offering kayaks and SUPs to the harbor’s recreational visitors are educating or monitoring their respective customers. “It’s turning into a real nightmare down there,” George said, alleging kayakers and SUP users of not staying on the proper side of the channel. HBAC Chair Jim Jenkins said all kayak and SUP activity needs to be controlled or regulated. “Boaters are at the mercy of what happens in front of them,” Jenkins said. Oceanside Harbormaster Paul Lawrence said kayakers and SUP users were clogging up the navigational channels at Dana Point but a compromise was ultimately reached where boaters and human powered craft users could co-exist. Committee members were mostly concerned of what kind of liability the city could be exposed to if an incident involving a boater and kayaker or SUP user occurred. City staff will be working to develop and implement safety protocols during the next few weeks. San Diego updated its master plan in the 1990s to allow motor, sail and human-powered craft in Mission Bay. “Mission Bay Park offers a myriad of recreational opportunities to the public at no cost including … personal watercraft,” the master plan update stated. Kayakers and SUP users regularly navigate in harbors at Marina del Rey, Redondo Beach and Ventura, as well.